Clematis virginiana vine in bloom. Copyright David G. Smith. Discover Life. discoverlife.org (Accessed 1/2018). 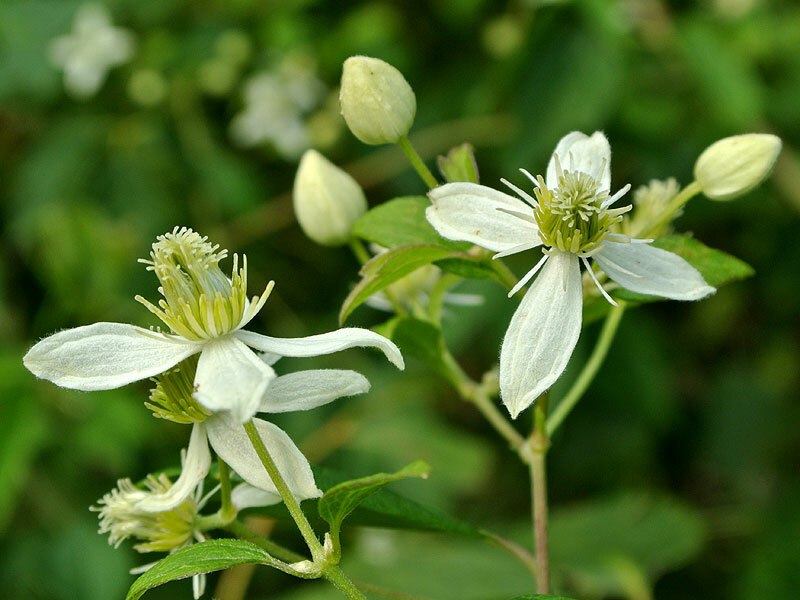 Clematis virginiana is a scarcely woody vine to 3 m long, stems slender, 6-12 angled, bark pale brown, shredding, nodes enlarged often with a line between leaf scars (Harlow 1946), spring growth begins early April (Britton 1874). 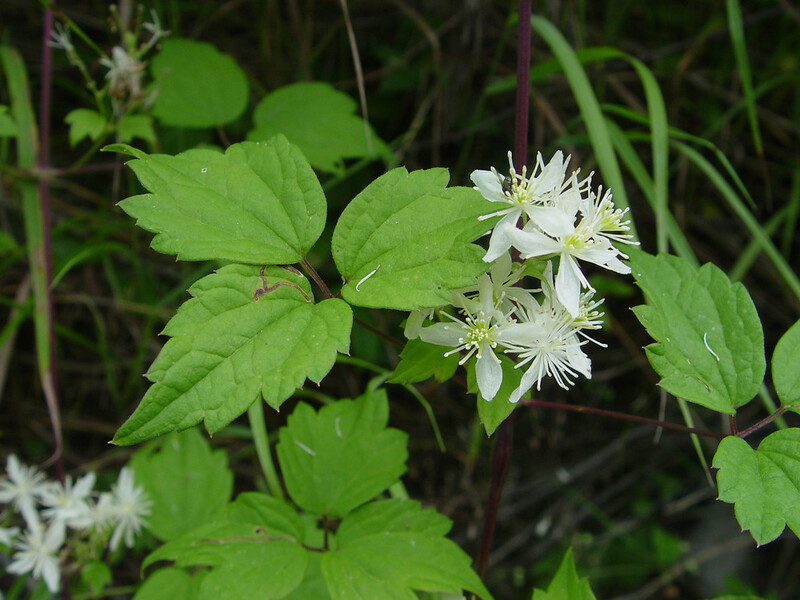 Clematis virginiana leaves and flowers. By Donald Cameron. Copyright © 2018 Donald Cameron. New England Wild Flower Society. gobotany.newenglandwild.org (Accessed 1/2018). Leaves opposite, stalk to 10 cm long, blade mostly 3-parted, leaflets stalked, blades 2-10 cm long, 1-6 cm wide, egg-shaped, tip sharply pointed, margins coarsely toothed or lobed; leaves expand mid-May (Britton 1874). 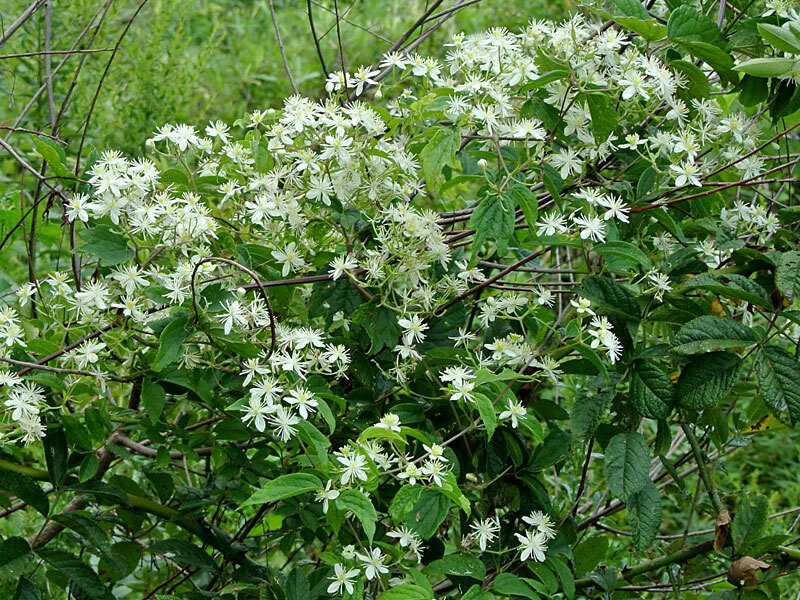 Clematis virginiana flowers. Copyright David G. Smith. Discover Life. discoverlife.org (Accessed 1/2018). Flowers white, radially symmetrical, all parts free, no petals, sepals 4, to 1.5 cm long, hairy, at least on back, stamens conspicuous; blooming July-Sept.; inflorescence of dense, branched clusters, on stalks to 6 cm long. 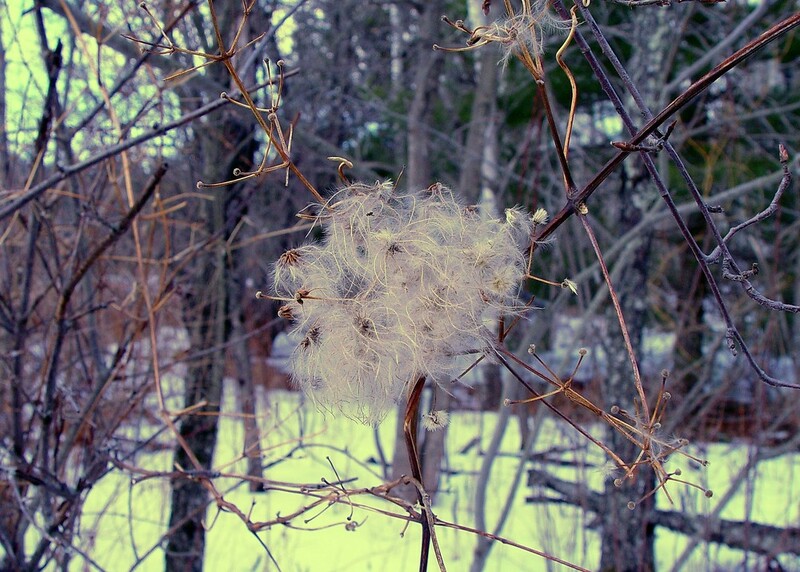 Clematis virginiana cluster of fruit. By Arthur Haines. Copyright © 2018. New England Wild Flower Society. gobotany.newenglandwild.org (Accessed 1/2018). Fruit dry 1-seeded achenes with persistent, elongate, hairy style forming a plume. Most likely wind dispersed. 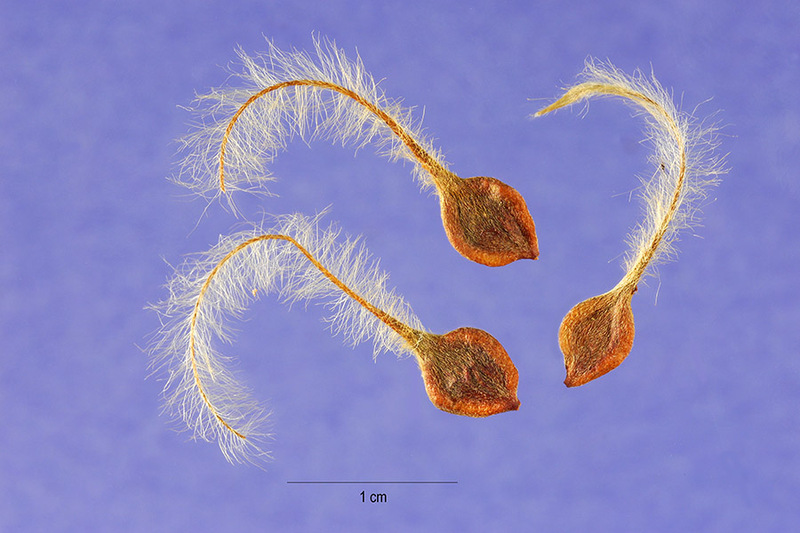 Clematis virginiana plumed achenes (fruit). Steve Hurst, hosted by the USDA-NRCS PLANTS Database. plants.usda.gov (Accessed 1/2018). Habitat: Moist soil of edges, low vegetation or scrub, soil pH 5-6.5, moderately tolerant of shade, drought, fire, in tolerant of anaerobic soil, salt (USDA, NRCS 2006).